Our bathroom renovation project is coming along pretty well! It’s always a longer process when you DIY, especially with kids, because those hours are hard to pull together consistently. Overall, though, it’s going just about as planned and we are nearing the final stages! All of the tile has been regrouted and reglazed which was a chore in and of itself, let me tell you! We have the perfect gray paint on the walls, and I have finally finished updating the vanity doors. 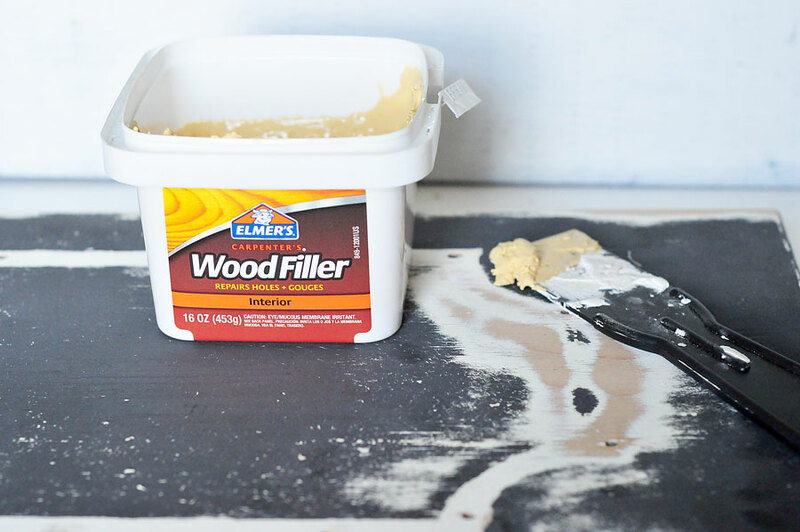 If you haven’t seen my inspiration board for this bathroom overhaul along with the before photos, you can check those out here. It was dark and so uninviting. From my inspiration board, you can see where I was headed with light gray tones and lots of white. Well, y’all, it is a whole different room now! Amazing what paint can do. One thing I despised was the outdated vanity. Unfortunately, ripping it out and replacing it wasn’t in the budget for us, so like most things, we’re doing a DIY on a dime. I’ve oohed and aahed at shaker cabinets since they came around again, but was never brave enough to try to make them myself. Our kitchen is full of flat front cabinets that, now that I’ve updated the bathroom doors, I think I might have to try my hand at upgrading to shaker style. I needed to start small, though, since I wasn’t really sure what I was doing. There are plenty of tutorials out there on building your own, which would be stellar except that our doors are overlay design with an inset making them next to impossible to replicate without the proper tools (most of which I do not have). So I opted to reface mine, so to speak. Here’s what the doors looked like before. Super outdated and very 1970s. Here’s what they look like now in all their gray, shaker glory!!! I could not be happier with the way they turned out or with how simple they were to upgrade! 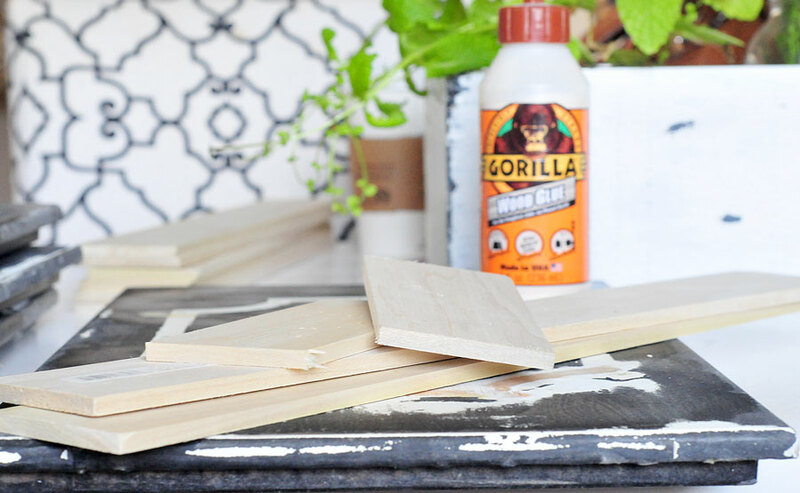 This project is really incredibly simple, and even the wood pieces I purchased left me with only a few cuts (ones that you could easily have done in store). Updating the entire vanity, including a quart of enamel paint, cost less than $30 ($35.99 if you include the knobs that I found at Marshall’s). That’s definitely a win in my book for such an aesthetic upgrade! The first step for me was to remove the existing moulding on the doors. As it turns out, the moulding was plastic and popped right off with a chisel and hammer. I had to fill a few holes with wood filler and sand that down, but for all four doors this took less than 10 minutes. 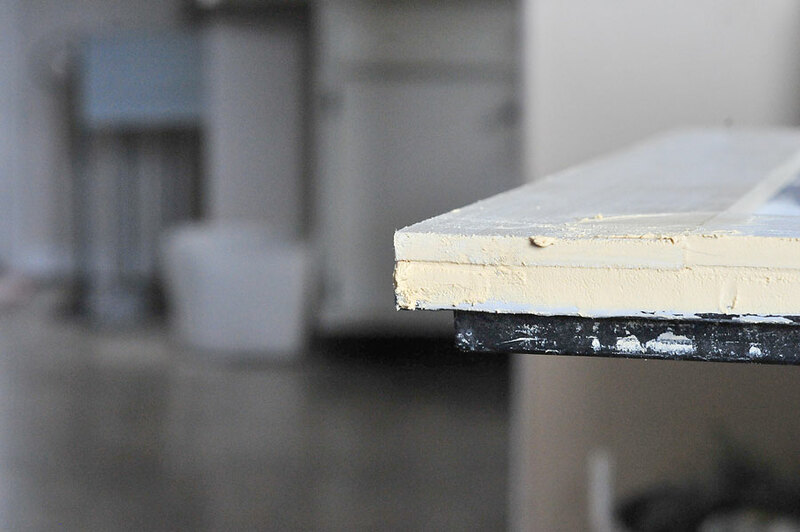 If you don’t have moulding on your existing doors, lucky you! I also filled in the design that was on the drawers of this vanity. I felt like it dated the whole piece and didn’t want it to bring my new shaker doors down, so I added wood filler there as well and sanded it down flat. Next, I measured out the long sides of my four doors and cut stiles out of my 4′ pieces of wood accordingly. 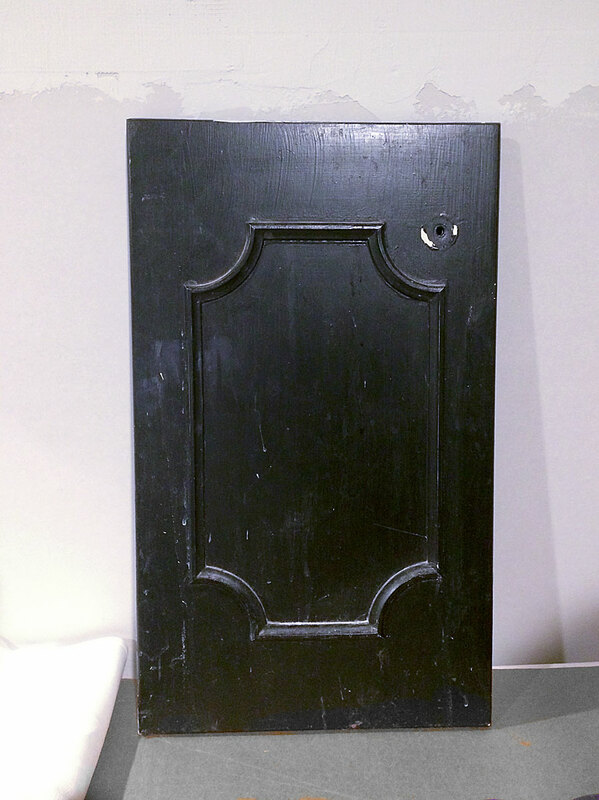 (Stiles are the long sides of the shaker cabinet front.) This left me with just enough wood for the rails (the top and bottom pieces). One 4′ piece did one entire door. Rather than miter the corners, I opted for the rails to fit inside the stiles. Once I had all my pieces measured, I lined the backs with wood glue and attached them to the front of my cabinet doors using brad nails to secure them in place while the glue dried. The fronts of my doors were slightly rounded, so I lined up the wood pieces with the furthest part of the edge of the door and went back in and filled the seams with wood filler once the glue had dried. After everything had dried, I added wood filler to the seams between my rails and stiles as well as to the inside panel where the wood pieces met the original door. This gave the whole door a seamless, this-was-totally-built-this-way-originally look. The wood filler took a little time to dry because I put it on so thick, but once it dried, I gave the whole door front and sides a good sanding to make sure it would all look solid once the paint went on. The doors all got wiped down with a damp cloth to get rid of any debris and then were given two coats of Olympic semi-gloss enamel paint matched to Valspar Rocky Bluffs gray. All that was left after the paint dried was to put the drawers back in and add hardware! 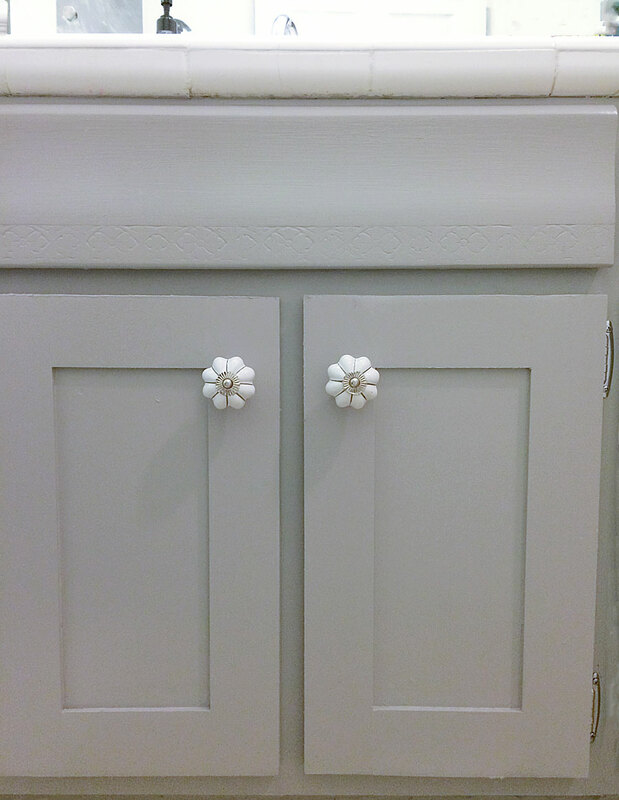 I snagged these knobs at Marshall’s for $5.99 knowing I wanted a gray and white look in the bathroom. They could not be more perfect! I am still in the process of adding legs to the bottom of the vanity to give it a finished look. Originally, I was going to just add two, one to either side, but the vanity is so long I think it actually will need four legs so that part isn’t quite finished yet. In the meantime, you can see where I’m going with those in the photos below and get a glimpse of the finished vanity and those beautiful shaker doors! I’m still a little bit in awe of how much changing those doors updated the whole room, not to mention the paint colors, but I’m absolutely loving it! The next steps will be framing the bathroom mirror, laying down the floor tiles, adding shelving over the toilet and on either side of the mirror and hanging the light fixture. I’ll have tutorials on the bathroom mirror framing for you next week and then hopefully a final reveal the following if all goes according to plan! 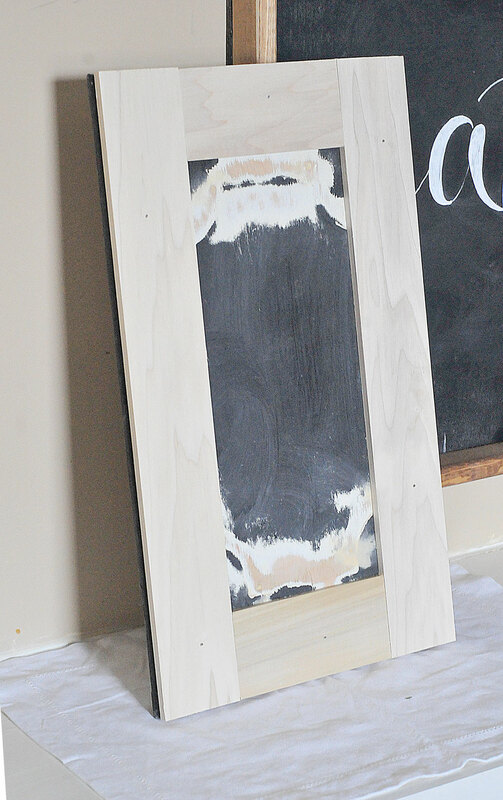 Do you think you’ll try this out on your outdated cabinets? 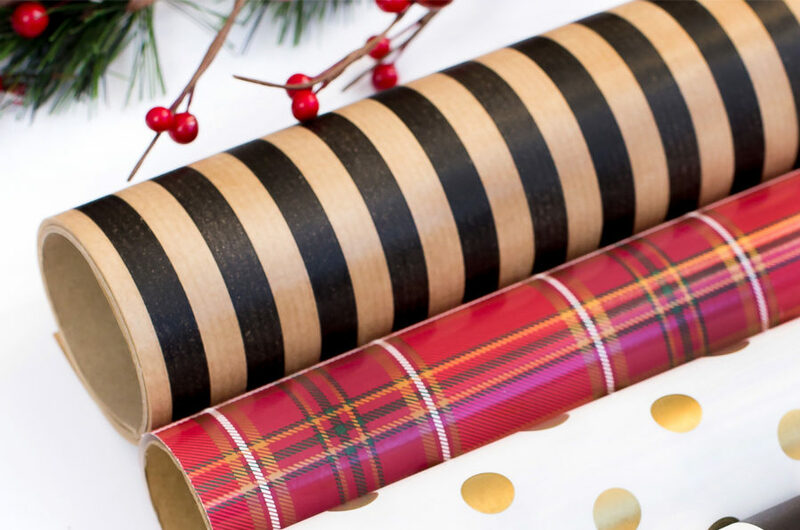 If you’ve already flipped something older into something that looks new, we would love to know about your successes in the comments below! Those doors are really pretty! I love the little knobs that you chose. They totally add to the charm. OMG I seriously LOVE this! 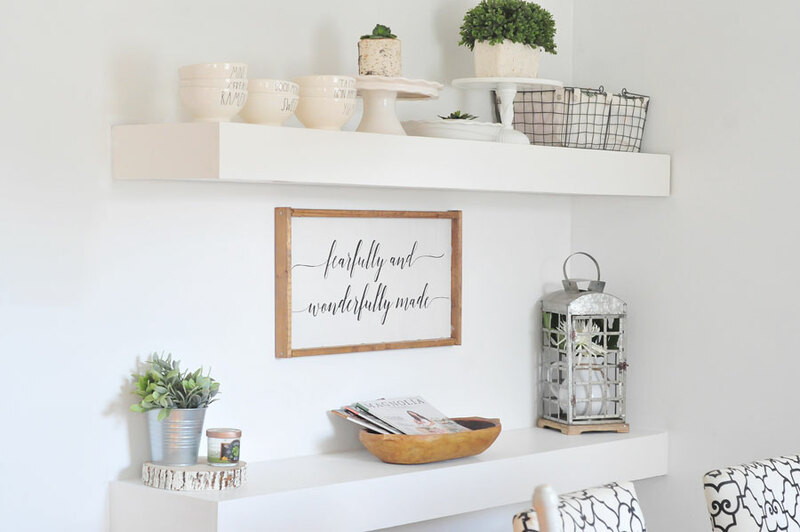 I have always wondered what one could do with cupboards and this is so motivating and exciting to me that you can redo them. Love the colors and knobs! Great job! It looks like something I’d see in a spa! How clean and stylish! It is amazing how much a little wood and paint will do. This is a remarkable change! What a beautiful renovation!!! We did need to totally renovate our bathroom. Never thought to just paint the wood vanity! I love this! My hubby and I differ on DIY home projects, me wanting to do them but I have no skills and he would rather pay someone. I admire you doing this with kiddos and look forward to seeing the end result. Gosh, you’ve got me wanting shaker doors in my bathroom too! And that gray is PERFECT!!! 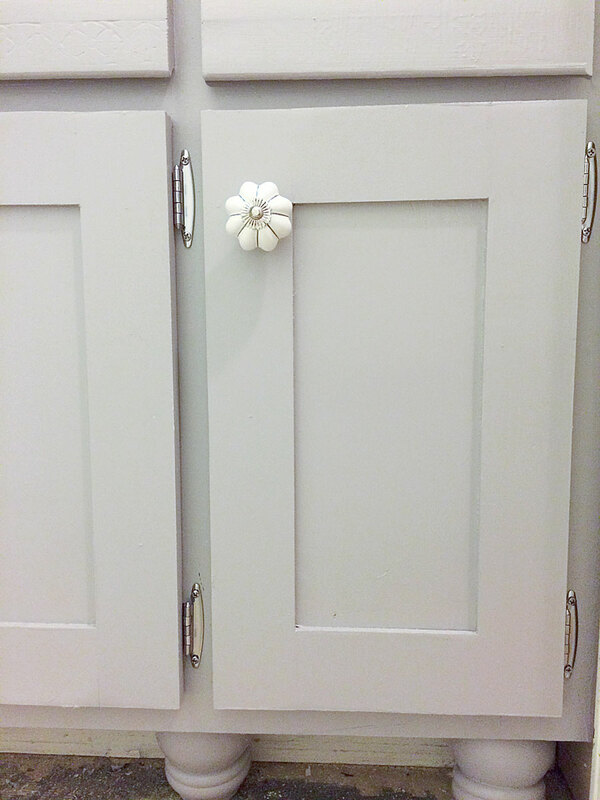 The little knobs are so cute and really complete the look… definitely inspiration for when I have to do diy upgrades. 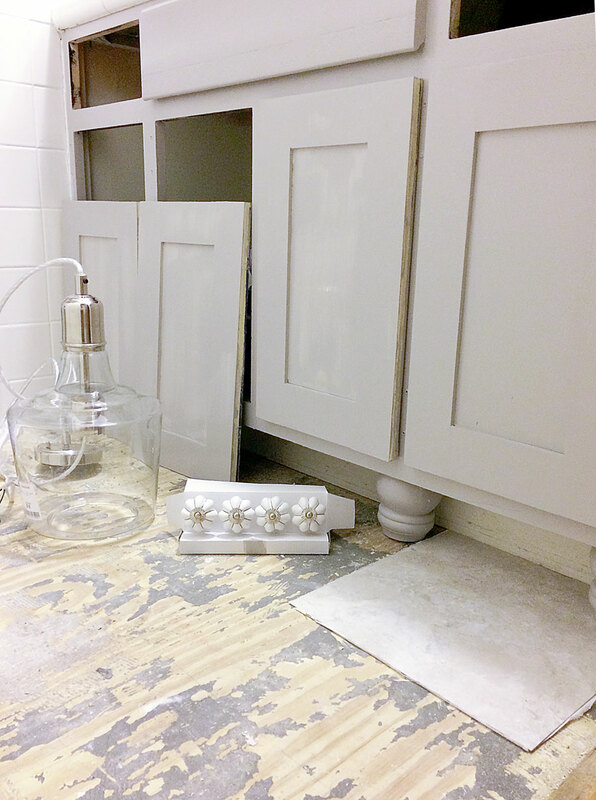 I love the new look of your drawers and I’m so excited to see the final output of your Bathroom renovation! Can’t wait to revamp our bathroom too. Wow!! What an upgrade!! 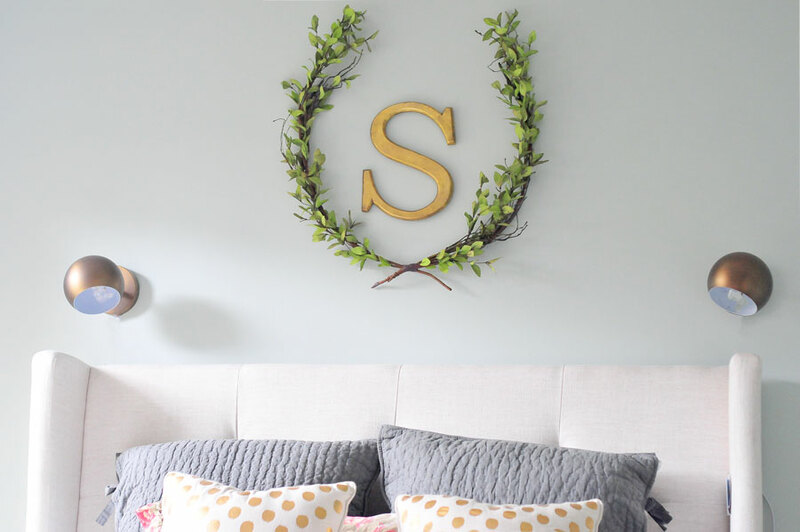 You did such an amazing job on this DIY project and on such a small budget! What a great Marshall’s find those super cute knobs are too! I love how these turned out! They are awesome for the bathroom and we are looking to redo ours soon so will have to bare these in mind! the handles are so cute! I love the after result! It’s feels amazing when you’re done with a project and you’ve seen the finished product. I’ve been thinking of renovating our bathrooms in the house for some time now. I could pick up tips from this post, thanks! Wow! This looks beautiful! I love the knobs, those are seriously gorgeous! Turned out so very pretty. I wish we didn’t rent so we could do something like this! What a great transformation! 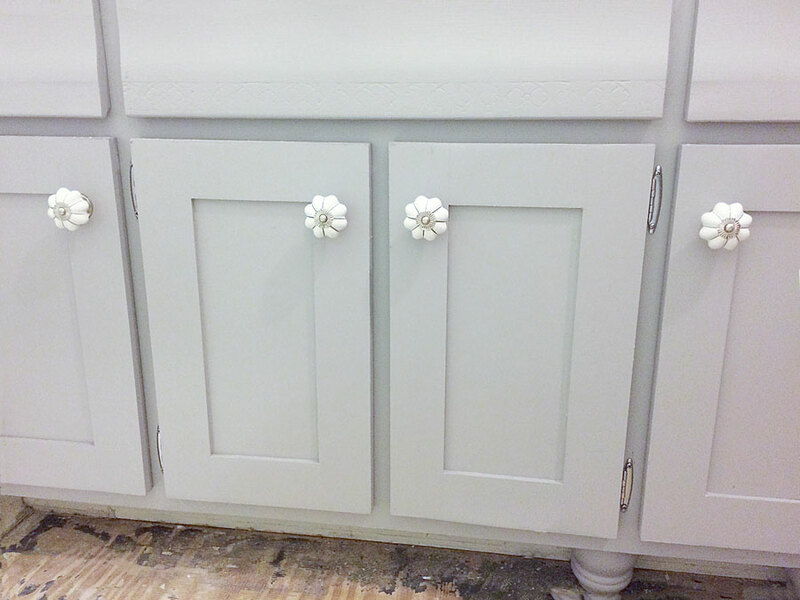 I love the shaker style and the pull knobs you chose for these are absolutely gorgeous! They look like pretty flowers 🙂 Amazing! I’ll be the first to admit that I’m not a fan of the new all white trend. However, it think it works exceptionally well in the bathroom. 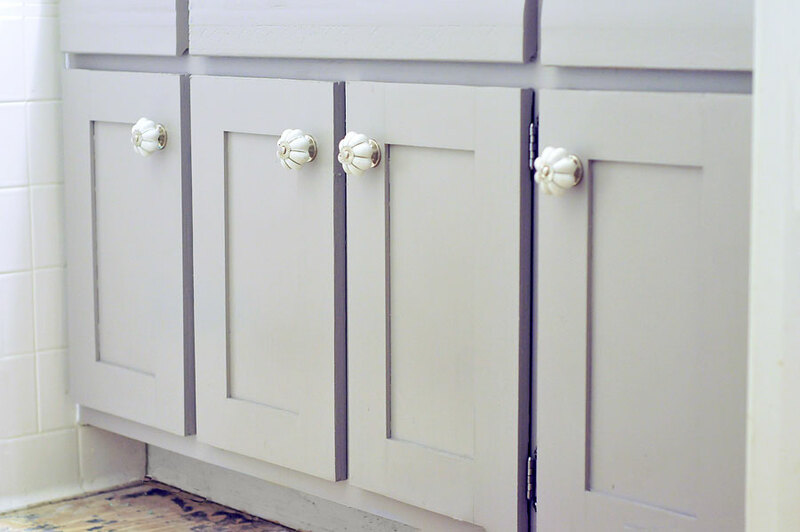 I really love these shaker doors and the whimsical hardware you added. It has such a nice antique yet modern feel. What a great project! I’d love to refinish our kitchen cabinets but am nervous to do it ourselves. This came out amazing. What a great transformation. I love this! What a great job! I love the shaker style. And the color is beautiful! Wow, I’m quite impressed with how it all turned out! You did a great job.